ONCE THE TOOTHPASTE OUTTA THE TUBE, THERE AIN'T NO GETTING IT BACK INSIDE!! Herewith the British perspective on the Korean crisis. Thanks to the Guardian and again the tip from Jeff. "Military action over North Korea ‘worst possible option’, says UK diplomat"
"Preventive war waged by Donald Trump would be likely to escalate very quickly, says ex-FCO political director Simon Gass"
"He [Gass] advised that if the negotiations with North Korea started with the assumption of eliminating its nuclear capability, or to secure an outcome in which the US wins and North Korea loses, the talks were simply not going to prosper." Sir Simon it should be noted does not offer an option or alternative [other than talks of some sort, vague in nature] to what has already been discussed for several decades now! Future negotiations with North Korea will start from what point then? THE JAPANESE KNOW SOMETHING BIG AND WANT THE WHOLE WORLD TO BE PREPARED? From Reuters and thanks for the tip from Jeff. "Japan's defense chief warns of possible North Korea provocation on October 10"
"TOKYO (Reuters) - Japanese Defense Minister Itsunori Onodera urged caution on Friday because more provocation was possible from North Korea on Oct. 10, when the start of lower house election campaigns in Japan coincides with one of the North’s main anniversaries." "Onodera said Oct. 10 marks an important anniversary for North Korea. It is the date the North celebrates the founding of the North Korean communist party." "Oct. 10 is also coincidentally the same day that campaigns will begin in Japan for parliament’s lower house election 12 days later after Prime Minister Shinzo Abe dissolved the chamber on Thursday." SECRET INTELLIGENCE OF SOME SORT IS AT WORK HERE? 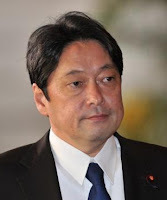 I WOULD LIKE TO THINK THAT THE JAPANESE HAVE VERY GOOD SOURCES IN NORTH KOREA! WE SHALL SEE! Suicide as a weapon of war by the Japanese not strictly confied to the kamikaze missions of the Second World War and that period 1944/1945? Suicide by ground forces of the Imperial Japanese Army [IJA] an institutionalized measure observed as early as 1939. Entire units devoted to giving their lives in reckless and "suicidal" charges. EVEN as was the case at Nomonhan . Soviet versus IJA. also called Khalkin Gol. See this particular You Tube video, events as portrayed very realistic. Be prepared for blood and gore in the extreme. "Japanese Infantry VS Russian Armour Unit"
NOW for the rest of the story. Thanks to the article by Timothy Neeno and the Internet web site we have the particulars. "Nomonhan: The Second Russo-Japanese War" by Timothy Neeno, M.A. "The Japanese themselves launched a counter attack to try to hold onto their gains, but the Japanese anti-tank weapons were not adequate against Soviet armor. The Japanese, in desperation, resorted to suicide attacks with squads of men hurling satchel charges and Molotov cocktails, but they could not stop the Soviet onslaught." "The Japanese fought back with desperate courage. One Japanese regimental commander burnt his colors and committed seppuku, rather than surrender. Another died in a last, fanatic banzai charge against oncoming Russian armor." Trucks with drums of gasoline attached to the front of the vehicle ramming on-coming Soviet tanks [T-26]. Personnel a-foot unarmed EXCEPT for satchel charges strapped to their chests detonating the explosive as a Soviet tank passes over them. Grim!! Events as transpired in the film probably quite accurate. Cinematography also good!! 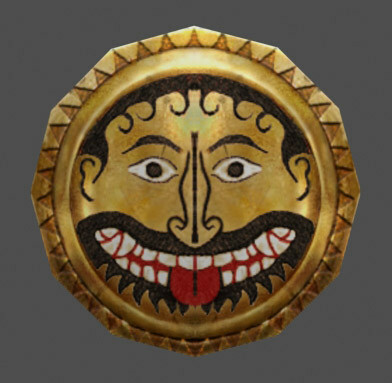 "Our enemies are Medes and Persians, men who for centuries have lived soft and luxurious lives; we of Macedon for generations past have been trained in the hard school of danger and war. Above all, we are free men, and they [Persians] are slaves. There are Greek troops, to be sure, in Persian service — but how different is their cause from ours! They will be fighting for pay — and not much of it at that; we, on the contrary, shall fight for Greece, and our hearts will be in it. As for our foreign troops — Thracians, Paeonians, Illyrians, Agrianes — they are the best and stoutest soldiers in Europe, and they will find as their opponents the slackest and softest of the tribes of Asia. And what, finally, of the two men in supreme command? You have Alexander, they — Darius!" – Alexander the Great (c. 335 BCE). THEY WILL BE FIGHTING FOR PAY! GREEK MERCENARY TROOPS IN THE SERVICE OF THE PERSIAN. From the wiki: "The death of Cleitus"
Black Cleitus!! That most esteemed soldier in the Macedonian army and personal confidant of both Philip of Macedon and Alexander the Great! Cleitus when told by Alexander that he was going to receive a command of second-rate soldiers, " he spoke his mind". Second-rate soldiers as those Greek mercenaries having previously fought for the Persian Darius the idea of commanding such troops not acceptable to Cleitus. REMARKS BY CLEITUS AS DIRECTED AT ALEXANDER THOUGHT TO BE SO PROVOKING, CLEITUS KILLED ON THE SPOT!! Before there was the B-36 with parasitic fighter F-85 Goblin there was the Soviet Tb-3. Came across this quite by accident. Zveno! Five Soviet fighter planes as getting a "lift" from the Tb-3. Two biplanes [I-4], two I-16 and hanging from the belly of the Tb-3 one I-Z. "Zveno . . . was a href="https://en.wikipedia.org/wiki/Zveno_project">a parasite aircraft concept developed in the Soviet Union during the 1930s. It consisted of a Tupolev TB-1 or a Tupolev TB-3 heavy bomber acting as a mother ship for between two and five fighters. Depending on the Zveno variant, the fighters either launched with the mother ship or docked in flight, and they could refuel from the bomber. 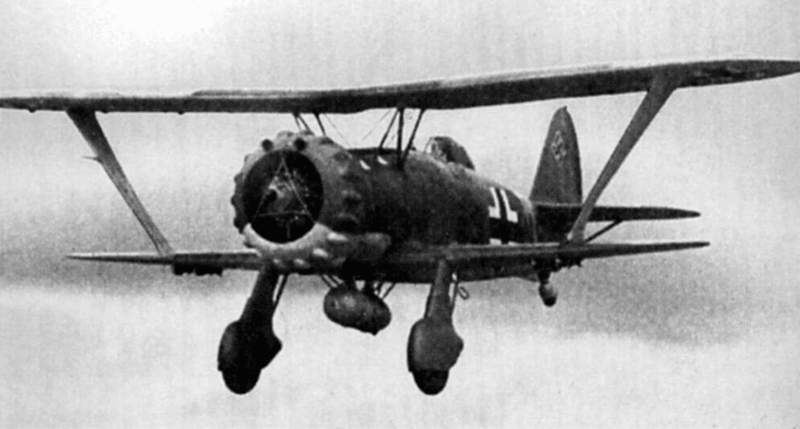 The definitive Zveno-SPB using a TB-3 and two Polikarpov I-16s, each armed with two 250 kg (550 lb) bombs, was used operationally with good results against strategic targets in Romania during the opening stages of the German-Soviet War." 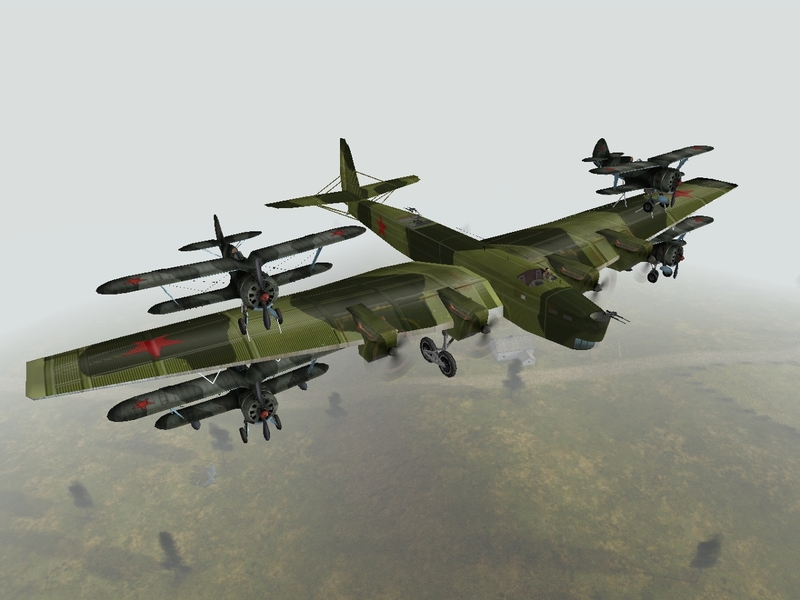 Herewith an artists rendition of a Tb-3 carrying four I-4 fighter planes. "By lashing two or more aircraft together, the combined machines can often accomplish things that neither vehicle is capable of on its own." Yet one more image of a Tb-3 with parasites. Two I-4 fighter planes attached. Devoted readers to the blog can read further that entire aspect over many decades the bomber aircraft carrying a parasitic fighter plane. More commentary and perspective regarding the relative inefficiency of some American air to air missiles of the Cold War period, and even beyond. In particular that AIM-4 Falcon again. 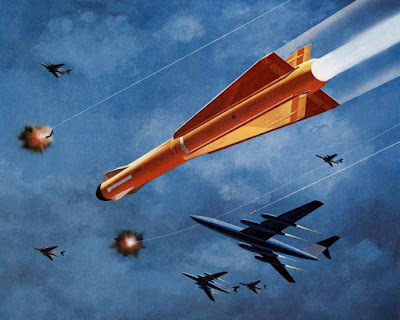 That AIM-4 as found to be ineffective by Colonel Robin Olds in Vietnam the AIM-4D? NOT worthy as a weapon for dogfighting aerial combat, mano-a-mano! "The final version of the original Falcon was the GAR-2B (later AIM-4D), which entered service in 1963. This was intended as a fighter combat weapon, combining the lighter, smaller airframe of the earlier GAR-1/GAR-2 weapon with the improved IR seeker of the GAR-4A/AIM-4G." INFRA-RED GUIDED BUT PECULIAR CHARACTERISTICS OF THE MISSILE MAKING IT OF LIMITED USAGE! WARHEAD WITH EXPLOSIVE "STUFF" OF THE AIM-4 INADEQUATE FOR THE TASK TOO? "AIM-4 Falcon the combat record poor! Wasn't made for fighters, but for interceptors flying straight and level at targets--bombers--flying straight and level, too. But would the 'hand grenade' [the bang warhead stuff of the Falcon] have done enough damage to kill a big bomber? Not unless it flew up the tail pipe of a jet engine, and even then, one engine out might not bring a four engine (or more) bomber down." 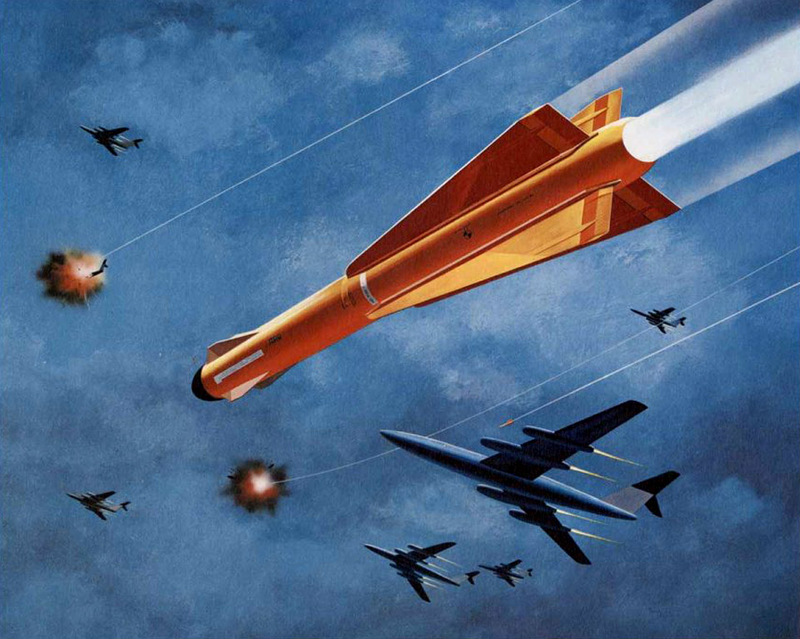 Artist rendition from the Cold War period of AIM-4 Falcon in the air defense role blasting Soviet long-range bombers out of the sky with impunity. This is not how things would have been? Additionally those Soviet bombers do not correspond to any known warplane ever in the Soviet arsenal either deployed or as a prototype!! And just keep saying to yourself, nothing can go wrong, go wrong, go wrong! Once more to the subject of the air to air missile the performance of which not up to desired standards. Thanks to the tip from Dee and the "This Day in Aviation" Internet web site. American B-52 Stratofortress long-range nuclear bomber warplane shot down by American air- to air missile!! AN ACCIDENT DURING A TRAINING EXERCISE. MISSILE MALFUNCTION! "The flight took Ciudad Juarez [B-52] over New Mexico where they were intercepted by a flight of two North American F-100A Super Sabres of the New Mexico Air National Guard, also on a training flight." ALL SAFETY MEASURES AND PROTOCOLS FOLLOWED WITH 100 % EXACTNESS AND YET THE SIDEWINDER SPONTANEOUSLY LAUNCHING AND DETONATING ON TARGET, DESTROYING SAME!! "Safety precautions required that a circuit breaker be pulled and a firing switch be left in the off position. Before each pass, ground controllers had the pilots verify that the missiles were safe"
Again, problem with the missile itself and not the operators, the protocols, the safety features!! "An investigation determined that moisture condensation inside a worn electrical plug had caused a short circuit which fired the Sidewinder"
That warhead of the Sidewinder about three times larger than that on the Falcon AIM-4 air to air missile. Sufficient to cause enough catastrophic damage for the B-52 to fall out of the sky!! See this You Tube video of the latest version Sidewinder as fired during test exercises in a variety of scenario. From Dr. Sang a perspective of the Second Indo-China War courtesy "The Royal New Zealand Artillery Association (Inc)" Internet web site. "Preview of new US PBS Vietnam War documentary TV series being screened in the US from this week." "The preview is by Dr. Nguyen Ngoc Sang, a Vietnamese doctor who served with the Republic of Vietnam Armed Forces[ARVN]. RVN = Republic of Vietnam [South Vietnam]. ARVN = Army of Vietnam [South Vietnam]. "To me [Dr. Sang], in order to determine who won and who lost the war, one needs to answer three fundamental questions: (1) What was the goals of the involved parties. (2) What price did they have to pay? (3) The overall assessment of the war." 1. "According to the Pentagon Papers . . . the US got involved in the Vietnam War was to encompass Communist China, which was the ruse for the US containment strategy at the time." 2. 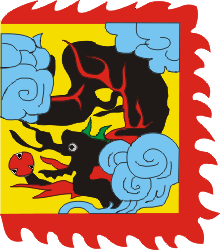 "The North Vietnam’s goal was to 'liberate' South Vietnam by force and to use it as a springboard to spread International Communism throughout Southeast Asia, statement represented the true mission of the Communist leaders." 3. "On the contrary, the goal of the South Vietnamese leaders was to defend the country’s independence and sovereignty." 1. "US casualties included 58,307 KIAs, 1948 MIAs, 303,604 WIAs, and$168 billion spent ($1,020 billion according to some other estimate) for the war." 2. "The NVA casualties included 950,765 killed in action, nearly 600,000 wounded, and an estimated 300,000 missing in action." 3. "The Republic of Vietnam’s casualties included 275,000 soldiers killed in action and about 1,170,000 wounded." 1. "From these observations, I [Dr. Sang] concluded that the United States was the winner because she had achieved the strategic goal of containing Communist China,"
2. "From the same observations, I [Dr. Sang] told the audience that North Vietnam was definitely the loser. attempt to help China subvert the whole Southeast Asia had failed." 3. "The Republic of Vietnam was the loser because it had surrendered unconditionally on April 30, 1975." 4. "In conclusion, I [Dr. Sang] told the audience that both North and South Vietnamese people were the losers." Devoted readers to the blog draw your own conclusions based on YOUR perspective. Here with some images of a 23 September 2017 World War Two [WW2] reenactment, Rockford, Illinois, USA. German/Nazi brutes in mortal combat with brave U.S. paratroopers of the 82nd Airborne division. Click on all images to see an enlarged view. A German SS Mann [left] and a Wehrmacht soldier confer before battle, exchanging their appreciations. That man on the right wearing a gorget. Symbolic of authority. A composite unit, SS and Wehrmacht in the same ranks? This was unheard of? Expediency overrides normal protocol during wartime. German SS troop with motorcycle/sidecar. Also equipped with a MG42 machine gun. The MG42 rapidity of fire truly amazing. An American 82nd Airborne soldier commits treason? The man apparently sharing some sort of battlefield intelligence of value to a SS officer! Evidence of time travel in the year 1945? The famous Andrews Sisters entertain American soldiers. But possessing modern micro-phonics and amplification. Such advanced technology was obtained just how? In reality there were three Andrews sisters. German SS men in encampment. Weapons on the far left not stacked and at the instantaneous ready. Poor form! A senior German commander resplendent in dress white uniform prior to parley with embattled and dispirited U.S. troops. Negotiate a fair and honorable American surrender with the promise of humane and just treatment of prisoners and wounded. Temporary graves of vanquished German soldiers. Remains awaiting eventual exhumation, repatriation and subsequent burial in the vaterland. Nice-looking and apparently in more or less mint condition German military motorcycle/sidecar. German mechanized commanders appreciate the scouting/screening that can be done from such a vehicle. Weary German troop wanders through encampment! That uniform all wool. Air temperatures in the shade during the day thirty-five degrees Celsius [95 degrees Fahrenheit]!! Nobody said that serving the vaterland was going to be easy, did they? German field hospital awaiting the wounded. Best described as a facility for first aid and battlefield triage but not able to treat life-threatening wounds. Some of those pans already stained with blood! German field kitchen. Lots of smoke and dust in the air. Got to be careful or you will betray your position! The photographer has edited and rendered this image to black and white as would have been seen during the period! Soldiers of the Ukrainian Insurgent Army with camp follower during a respite from battle. Attached to the German Army these combatants adept at reconnaissance/scouting, partisan/anti-partisan warfare. Noted for their brutality too. Those men at least have their weapons in their hands and at the ready! That final and climactic battle between American paratroopers and German soldiers aborted, a grass fire having been started by ordnance as fired by participants. As it might have been during actual combat. Overall, the performance of this event I rate as very good. The technical. Suddenly, everybody wants one. With ever increasing lethality. NO longer merely a heavy machine gun. "This Humvee-Mounted Howitzer Is Here To 'Shoot and Scoot'"
"The Hawkeye Mobile Weapon System can fire and then move at a moment's notice." 105 mm howitzer mounted on a Hummvee! Who would have thought it! To what extent an already existing Hummvee with slight modification can act as the prime mover I am not sure. "A new self-propelled howitzer system meets a Humvee—or a Ford F-250 pickup truck—with a 105-millimeter howitzer for an artillery system capable of rapidly moving from one firing position to another. The result is the Hawkeye,a new artillery system that can not only keep up with fast-moving friendly forces but dodge attempts by enemy forces to shut it down." "Shoot and scoot" as described vital to battlefield survival when opposed by a sophisticated enemy. ENEMY COUNTER-BATTERY/COUNTER-MORTAR RADAR ABLE TO DETERMINE YOUR FIRING POSITION WITHIN LESS THAN TEN SECONDS EVEN WHEN A ROUND YOU HAVE JUST FIRED STILL IN MID-AIR! Technical type mortars first, now artillery! What next? See previous blog entry regarding this topic. I found this to be mildly surprising. Hmong hill-tribesmen, people from Laos, having fought first for the French and then the Americans during both Indo-China Wars, having found refuge and evidently prospering in South America. FSAALE. 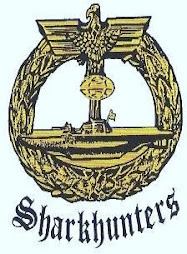 Federation of Foreign Legion Alumni Societies. 3 REI Legion-Etrangere. French Foreign Legion Third Infantry Regiment, French Guyana. Commemorative ceremony honoring Hmong that fought and died with the French Union troops during the First Indo-China War. "On June 26, 2017 at 11:00 am, the inauguration of the memorial to the Hmong fallen in Indochina between 1945-54 in the service of France took place in the village of Javouhey." "The Hmongs of the community of French Guiana have been mainly present in Cacao and Javouhey for forty years. They are the main fruit and vegetable producers in the department. They were gathered on 26 June to honor their forefathers who had died for France." 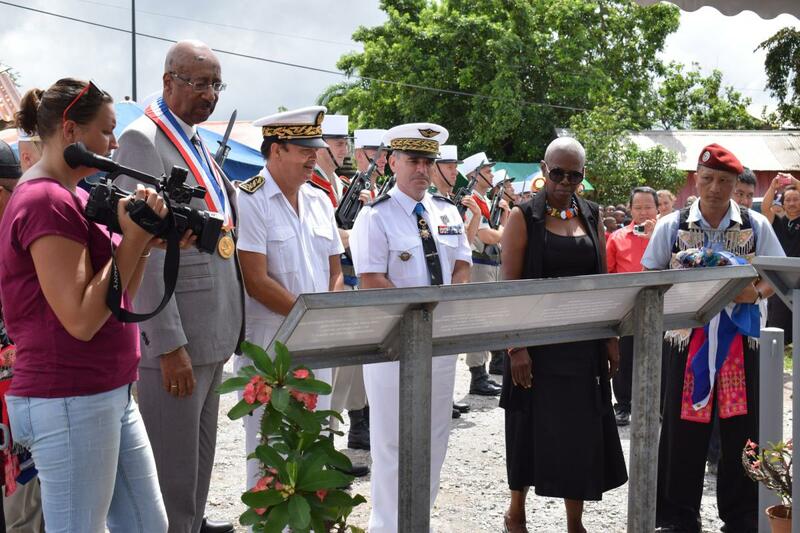 "At that ceremony, the Vice-Prefect of Guyana, Claude VO DINH, and General-General Pierre-Jean DUPONT, armed forces in Guyana." "The Legion was represented by a picket [guards] from a section of the 2nd Foreign Engineer Regiment currently on a short-term mission to French Guiana." "The Amicale des Anciens of the Foreign Legion Guyana, in the person of its president and its flag bearer, wanted to witness this important moment, grateful to the People [Hmong]." For some reason these are the type of images I like! Yemeni insurgents old and new. The proverbial motley crew but very dangerous and not to be underestimated under any circumstances. In a fifty year period armaments have changed but the person wielding the weapon not so much. Yemeni tribesmen circa 1960's loyal to their king and in opposition to the rebels [Republicans] during the North Yemen Civil War. Thanks to the Internet web site SOFREP for the image. Yemeni tribesmen noted for their marksmanship and sharpshooting skills. Houthi rebels from that current conflict in Yemen. Bolt-action rifles replaced with AK. 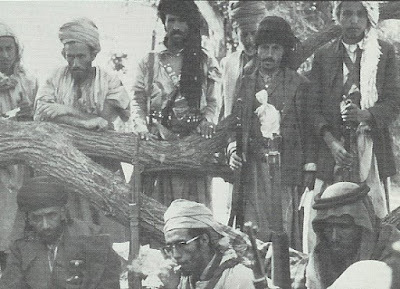 As can be seen in this image a well-dressed Yemeni always carrying his jambiya [dagger]. I doubt marksmanship and sharpshooting skills have diminished that much in the interim and hardly dare to place myself in a position to find out! No combat boots needed either. As it was in the past, as it is NOW! Current events in Yemen remarkably resemble those that occurred fifty years ago!! Very vaguely was I aware of events from so long ago now. I needed to refresh my memory. The North Yemen Civil War. "The North Yemen Civil War . 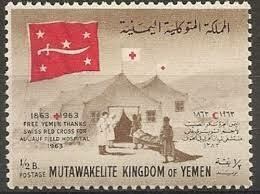 . . was fought in North Yemen from 1962 to 1970 between royalist partisans of the Mutawakkilite Kingdom and supporters of the Yemen Arab Republic. The war began with a coup d'état carried out in 1962 by revolutionary republicans led by the army under the command of Abdullah as-Sallal, who dethroned the newly crowned Imam Muhammad al-Badr and declared Yemen a republic under his presidency. The Imam escaped to the Saudi Arabian border where he rallied popular support from northern Shia tribes to retake power, escalating shortly to a full-scale civil war." THESE "NORTHERN SHIA TRIBES" AS REFERRED TO WHAT IS CALLED TODAY HOUTHI? Combatants during the North Yemen Civil War on both sides to INCLUDE those home-grown military units [for the king and against the king], proxy forces, foreign interventionists and at least on the Royalist side a sprinkling of mercenaries. Egypt military aid to the Republicans massive but to no avail. 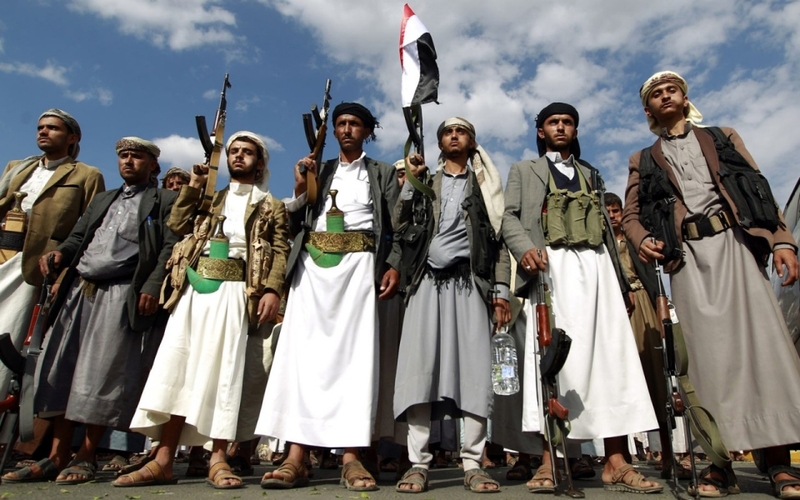 The Yemeni tribesmen resilient, quite effective at waging guerrilla warfare. IT HAVING BEEN ALLEGED [PROVEN?] THE EGYPTIANS IN THEIR CAMPAIGN TO ERADICATE THE ROYALISTS USED CHEMICAL WEAPONS [MUSTARD AGENT] IN YEMEN. That current Houthi rebellion consisting of indigenous dissident Shia Yemeni and a whole host of outside interventionists, opportunists, proxies, etc. NOT exactly the same as it was fifty years ago but close. "By the beginning of June, we all hated the new AIM-4 Falcon missiles. I loathed the damned useless things. I wanted my Sidewinders back. In two missions I had fired seven or eight of the bloody things and not one guided. They were worse than I had anticipated. Sometimes they refused to launch; sometimes they just cruised off into the blue without guiding. In the thick of an engagement with my head twisting and turning, trying to keep track of friend and foe, I'd forget which of the four I had (already) selected and couldn't tell which of the remaining was perking and which head was already expiring on its launch rail. Twice upon returning to base I had the tech rep go over the switchology and firing sequences. We never discovered I was doing anything wrong". - - Colonel Robin Olds, speaking of the AIM-4 experience in Vietnam. As it was in the skies over Vietnam fifty years ago, so as it is now in the skies over Syria today!! Before there was Sidewinder there was Falcon!! Thanks to the outstanding Internet web site isegoria.net this item of interest and additionally the rest of the story. Thank you isegoria. "Missiles fail, especially air-to-air ones"
AMERICAN SIDEWINDER AS USED IN AERIAL COMBAT OVER SYRIAN AIRSPACE FAILING!! BUT NOT TO WORRY? "What’s also worth discussing is the conjecture surrounding the AIM-9X’s failure in this engagement. By the panel’s account it sounded as if the AIM-9X just went stupid/malfunctioned on its own .. . . Missiles fail, especially air-to-air ones. They are complex devices that get battered around under high gravitational forces and slammed down onto carrier decks and runways throughout their lifetime . . . Regardless, that doesn’t mean that is what happened in this instance or that the AIM-9X is somehow a lousy missile because of it." Here this image courtesy the USAF and DoD for a sense of scale of the AIM-4 air-air missile. Combat effectiveness of this missile rated as POOR! 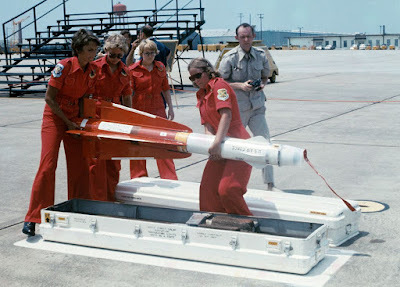 "The Air Force deployed AIM-4 in May 1967 during the Vietnam War on the new F-4D Phantom II, which carried it on the inner wing pylons and was not wired to carry the AIM-9 Sidewinder. The missile's combat performance was very poor . . . The weapon was unpopular with pilots from the onset and was supplemented or partially withdrawn in 1969, to be replaced in the F-4D by the Sidewinder after retrofitting the proper wiring." With these air-air missiles, as it was in the beginning, as it is now, as it always will be, world without end? We might like to think otherwise. But probably guess again. BEST light infantry in the world their advance stalled and stymied? Hezbollah infantry [described as such by the # 3 man in the FBI] further assault on Deir Ez-Zor stymied! 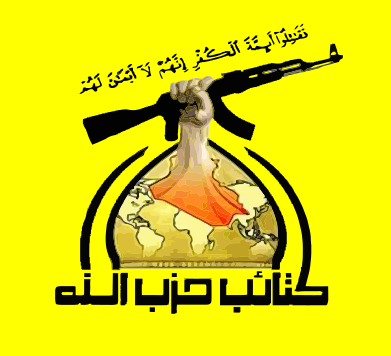 "Most pro-Syrian forces fighting ISIS in E. Syria are Hizballah"
"DEBKAfile's military sources report exclusively on Thursday that Hizballah troops account for the majority of the pro-Syrian forces fighting in southeastern Syria during the last week, especially in the area of Deir ez-Zour. 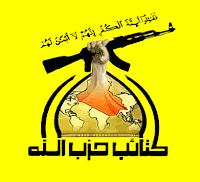 The Hizballah forces have run into strong resistance from ISIS forces and have not been able to defeat them." "Unlike the battles along the Syria-Lebanon border two weeks ago, where Hizballah and the Lebanese army faced scattered forces of ISIS and the Nusra Front, Hizballah now faces the main ISIS army arrayed in the Syrian desert and the Euphrates Valley, and has so far failed to break through or defeat it." WHO will be first? That is the question? Prestige is at stake. NO ONE wants to be second. 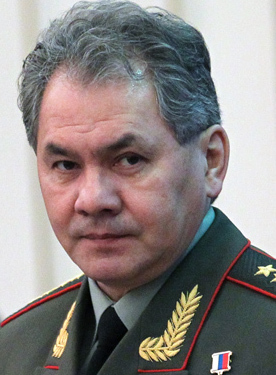 "Shoigu in Damascus, Tehran for anti-ISIS drive"
"After a tense conversation with Bashar Assad in Damascus Tuesday, Sept. 12, DEBKAfile's military and intelligence sources discovered the Russian Defense Minister Sergei Shoigu had flown secretly to Tehran the next day. He then proceeded directly to Sochi to brief President Vladimir Putin on his mission, which was to assert Russian control of Syrian-Iranian-Hizballah operations against ISIS on the Syrian-Iraqi border." "As of Wednesday evening, the SDF [combined Kurdish-Arab forces allied in opposition to ISIL] was just 6 km away from Deir Ez-Zour, ahead of the Russian-backed armies which were taking the brunt of ISIS attacks." Hezbollah overland relief of the besieged Syrian army garrison vicinity Deir Ez-Zor stalled? Yet more from the latest edition of the DEBKAfile newsletter. "Syrian/Hizballah forces seize Jordan's border, rebels on Israeli border about to quit"
REBELS AS SPOKEN ABOUT THOSE OF THE FREE SYRIAN ARMY, THOSE IN OPPOSITION TO THE DESPOT ASSAD. "DEBKAfile's military sources report that Syrian army's 5th Corps units and Hizballah elite brigades Sunday began taking over the Jordanian frontier, including sections close to the Syrian border with Israel. Neither the Jordanian army nor the IDF intervened. Seeing the rebel groups of southeastern and western Syria crumbling, Assad's army and Hizballah marched in." THIS IS THE AL TANF BORDER CROSSING? IRANIANS NOW HAVE A SECURE OVERLAND SUPPLY ROUTE MUCH MORE ABLE TO SUSTAIN PROXY FORCES IN LEAGUE WITH ASSAD? THE ISRAELI WILL CONSIDER THIS EVENT AS A THREAT TO THEIR SECURITY? ONE bite at a time? The Islamic State capital of Raqqa now invested in a suitable manner. American led forces [SDG/YPG] their intentions and direction of attack subject to dynamic change? "Invest: 13. to surround (a place) with military forces or works so as to prevent approach or escape; besiege." NO overland relief possible and NO escape possible? "Raqqa offensive slows as coalition forces split off for next anti-ISIS operation"
"With around 60 percent of Raqqa retaken from ISIS, including its old city, part of the Syrian Democratic Forces and the Kurdish YPG fighting there has been detached for the next coalition offensive building up to capture one of the jihadists' last strongholds at Abu Kamal . . . US air strikes are clearing the way for their passage." "The operation to liberate Raqqa, the former capital of the Islamist Caliphate, billed as a key US target of the war on ISIS, is reported by our military sources to have slowed down. The US command has decided to leave a small detachment at Raqqa to finish the battle against the 2,000 jihadists still fighting inside and outside the town." 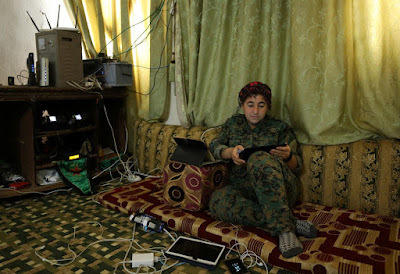 Kurdish lady soldier in operations room of SDF/YPG unit. I assume the C3I apparatus of the SDF/YPG to be crude but effective. Rube Goldberg like but adequate. You go with what you got and what you are familiar with! 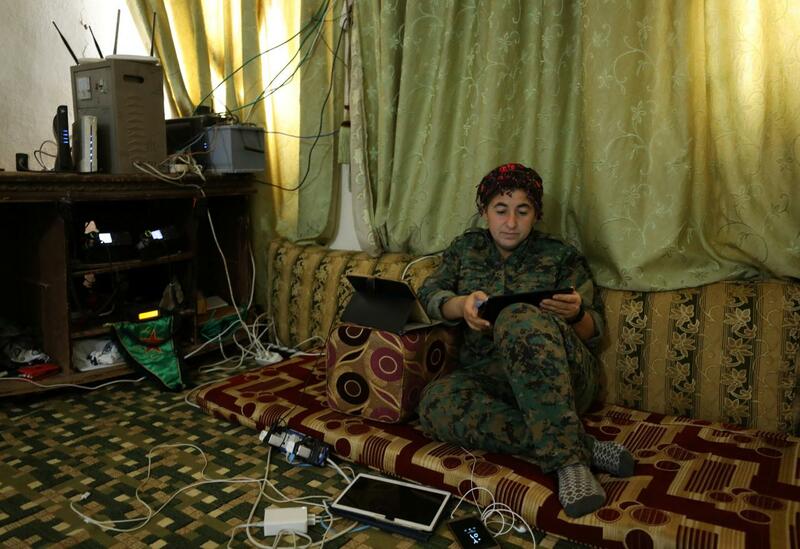 Personally I have the greatest admiration for those Kurdish female combatants. They put almost all men to shame!! Came across this item quite by accident. ONLY the English? Nancy Boy - - "Offensive slang. Used as a disparaging term for an effeminate man, especially one who is gay." "The Duke,[Wellington] usually indifferent to the way his officers chose to dress, drew the line at umbrellas. ‘At Bayonne, in December 1814,’ wrote Captain Gronow of the 1st Foot Guards, ‘His Grace, on looking round, saw, to his surprise, a great many umbrellas, with which the officers protected themselves from the rain that was then falling. Arthur Hill came galloping up to us saying, Lord Wellington does not approve of the use of umbrellas during the enemy’s firing, and will not allow the ‘gentlemen’s sons’ to make themselves ridiculous in the eyes of the army.’ Colonel Tynling, a few days afterwards, received a wigging [to scold or censure.] from Lord Wellington for suffering his officers to carry umbrellas in the face of the enemy; His Lordship observing, ‘The Guards may in uniform, when on duty at St. James’, carry umbrellas if they please, but in the field it is not only ridiculous but un-military'"
The Duke merely wanted his officers not to appear as Nancy Boys! British officers of that period I think at least the preponderance of them not Nancy Boys, but in the military appearances are important. And as for the samurai with sword carrying an umbrella [parasol? ], don't even try to pick a fight with him! Soviet female combat aviators from the era of the Second World War referred to by the Germans as "night witches". And as described in an article from the Russian Times [RT] young modern Russian women also wanting to have a career as a military pilot. "Russia to resume training of female military pilots after numerous applications"
"The Russian Air Force will begin training female military pilots for the first time since the fall of the Soviet Union in 1991" - - Defense Minister Sergey Shoigu. “There are so many young women who want to become military pilots. We receive hundreds of letters [from them],” - - Shoigu. “Therefore, we decided that this year we’ll recruit the first group of women to the Krasnodar Higher Military Aviation School,” - - Shoigu. Personally I would consider myself to be remiss without mention of the most outstanding [?] 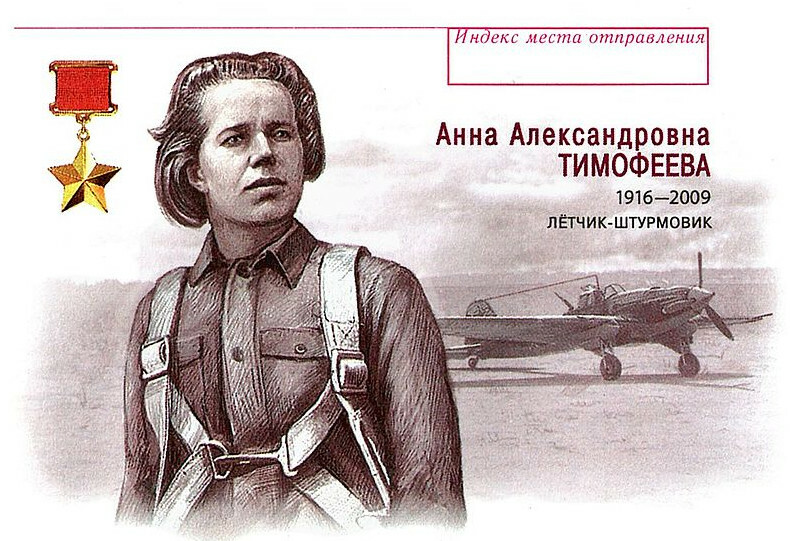 Soviet female combat aviator of the Second World War. Anna Yegorova. A person whom we can have the greatest admiration for, without question. Even head and shoulders beyond most men her record a superlative of the highest order. I would proudly fly backseat shotgun in an Il-2 for Anna any day!! "Sr.Lt. Anna Alexandrovna Timofeyeva-Yegorova . . . 23 September 1916 – 29 October 2009) was a pilot in the Red Army Air Force (VVS) during the Second World War. She flew in total 277 liaison, reconnaissance and ground-attack missions. She was awarded the title of Hero of the Soviet Union." "Only younger [sisters] will understand me. We're following in the footsteps of older [sisters]. You are looking up to your [sister]. You want to do the same things. You want to do as good as [she] and do it even better". - - Klitschko. Canberra B-57 bomber once again a topic for discussion. Flying high and doing yeoman service. Thanks for the tip from Al. "An airbase without a runway: What does Hanscom do?" "Hanscom air force base, Massachusetts, USA." "What goes on behind the barbed wire fence surrounding Hanscom Air Force Base?" Fences, barbed wire and closed doors. "No fighter jets take off and land there. The runways that used to be owned by the Air Force are now owned by Massport." An airbase without runways not entirely correct. Hanscom at one time having a considerable contingent of resident combat warplanes. The current runways as stated now commercially operated and quite active. United States Air Force [USAF] research and development [R and D]. Civilian agencies working hand and glove with the USAF to produce advanced systems. "Perhaps the most significant tool developed by units at Hanscom in recent years is the Battlefield Airborne Communications Node, or BACN. Dennis described it as a 'universal translator,' helping troops on the ground talk--and give precise targeting coordinates--to pilots supporting them from the sky. Without it, Dennis said, troops had the difficult job of describing the target to pilots, and hoping they picked the right one." BACN as tested by an ancient but venerable and still flying WB-57! Sixty years and still going strong for the Canberra! "The system was tested using a converted 1950s bomber called the WB-57 Canberra, Dennis said, which was flown into Hanscom for the Sept. 13 expo. Now, the system is flying in combat on aircraft and drones." Please recall B-57 able to reach and altitude of in excess of 50,000 feet [16,000 meters]!! SEF = Siamese Expeditionary Force. World War One. Siam a participant in the Great War? Siam of course now called Thailand. YES and we have the full story from the outstanding Internet web site The Mad Monarchist. 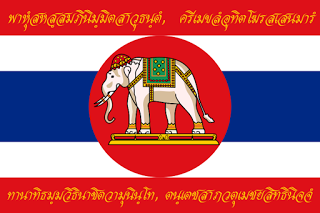 "The Siamese in the Great War"
"Most people, outside of the country [Siam] itself, probably have no idea that the Kingdom of Siam (Thailand) was a participant in the First World War. This is not too surprising given that the Siamese contribution was necessarily limited but the southeast Asian kingdom was a member of the Allied nations and, unlike some who declared war simply as a symbolic gesture, Siam actually participated militarily. World War One brings to mind the trenches and cratered landscape of Belgium and France but it was a global affair and Southeast Asia was actually fairly well represented in the conflict. Forces from French Indochina (Vietnam, Cambodia and Laos) participated on the Salonika and Western Fronts for example, the British had a potentially dangerous mutiny by Muslim forces on their hands in Singapore (dealt with by the Japanese) and so on. The Kingdom of Siam, like many others frankly, had no real reason to get involved given that Germany, Austria-Hungary, Bulgaria or Turkey had done them no harm but it was considered that participation would bring real benefits to Siam both domestically and on the world stage." SIAM AT THE TIME BEING ENCROACHED UPON BY THE COLONIAL POWERS OF FRANCE AND ENGLAND. PARTICIPATING IN THE GREAT WAR ON THE SIDE OF THE ALLIES IT WAS THOUGHT MIGHT VERY WELL PRODUCE A LOT OF GOODWILL WITH CORDIAL RELATIONS AS A RESULT!! Thank you as usual Mad Monarchist! CAS = Close Air Support. Here with CAS biplanes of the Second World War. "The Henschel Hs 123 was a single-seat biplane dive bomber and close-support attack aircraft flown by the German Luftwaffe during the Spanish Civil War and the early to midpoint of World War II. It proved to be robust, durable and effective especially in severe conditions. It continued to see front-line service until 1944, only to be withdrawn due to a lack of serviceable air-frames and spare parts (production ended in 1940)". 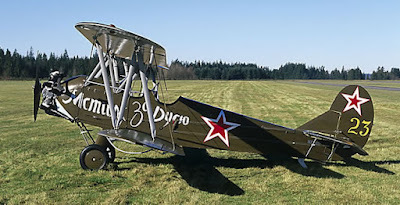 "The Polikarpov Po-2 . . . served as a general-purpose Soviet biplane . . . The reliable, uncomplicated concept of the Po-2's design made it an ideal training aircraft, as well as doubling as a low-cost ground attack, aerial reconnaissance, psychological warfare and liaison aircraft during war, proving to be one of the most versatile light combat types to be built in the Soviet Union." Surprisingly so [?] 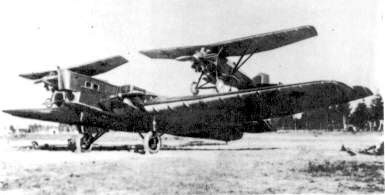 the Po-2 even used by North Korean air combat units during the Korean war. Read the last several paragraphs of the operational history of the Po-2 Even a jet downed [indirectly] by a Po-2!! CAS = Close Air Support. Tactical aviation bombing and strafing targets, direct fire support to the gound forces. * The use of infiltration tactics [Hutier tactics]. * Poison gas delivered on target by artillery shell. * The use of ground attack aircraft. With regard to the latter, pursue the enemy in a relentless manner to the greatest extent possible, no surcease or refuge allowed. GROUND ATTACK BY DEDICATED WARPLANES ALBEIT RECOGNIZED AS VERY DANGEROUS DUTY. "losses of the unarmoured fighters proved to be extremely high, reaching up to 30% per day when aircraft were deployed in such attacks. Most losses were due to ground fire, although low-flying aircraft also proved vulnerable to attacks from above by enemy fighters"
Ad hoc measures taken to ameliorate these excessive and even catastrophic losses camouflage detail as applied, distinct and different patterns for the underneath and top portions of the aircraft. "Field-Expedient Camouflage for Trench Strafing"
"Such attacks [aircraft in the ground attack mode] could be devastating, particularly against troops caught retreating or deploying. Strafing by Bristol fighters and Camels single-handedly routed and destroyed a Turkish army surprised in a defile in Palestine." "The Sopwith TF.2 Salamander was a British ground-attack aircraft of the First World War designed by the Sopwith Aviation Company which first flew in April 1918. It was a single-engined, single-seat biplane based on the Sopwith Snipe fighter but with an armoured forward fuselage to protect the pilot and fuel system from ground fire during low level operations." The Salamander. Did not see action during the Great War. But was in the works. Within a period of only four years the warplane went from being a novelty and a contraption for which there was thought to be little if any purpose into a great feared [and with good reason] weapon of war. From an article by H I Sutton at the "Covert Shores" Internet web site. The total package, the soup to nuts authoritative source for drug smuggler submarine operations. "Nacro submarines are increasingly sophisticated with mature designs now focusing on Low-Profile vessels and Snorkel-subs, a sub-category of semi-submersibles." 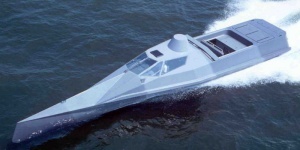 A semi-submersible low-profile drug smuggler boat. Click on image to see an enlarged view. (This info is from a former USN Officer and Nacro-sub expert... ). Type 3: "Low-profile vessels (LPV)"
Type 4: "Hybrid go-fast boats." I also recommend the H.I. Sutton web site without reservation or qualification. 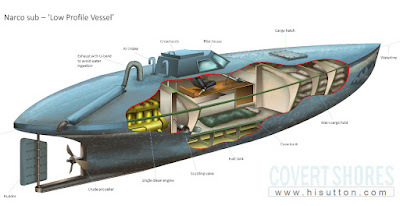 "Colombian Drug Smugglers Built This Stealthy, Special Forces-Inspired Boat"
NOT EXACTLY A SUBMARINE AS NORMALLY UNDERSTOOD BUT A LOW-PROFILE SURFACE VESSEL WITH HIGH-SPEED CAPABILITY. HARD TO SPOT AND HARD TO CATCH! "Trading raw speed for stealth, so-called very slender vessels are designed to slice through the waves and deliver drug cargoes undetected." "A Very Slender Vessel is a high speed, wave piercing craft. A standard high speed boat produces an extremely uncomfortable ride over long, high-speed transits in high seas." "A Very Slender Vessel is capable of speeds of more than 60 knots (110 km/h). They are cylindrical, with a small cross-section that can punch straight through waves, rather than going over or through the top of them." LOW-PROFILE GO-FAST TYPE BOATS ALSO ALLEGEDLY USED BY THE NAVAL COMMANDO UNITS OF SOME NATIONS TO INCLUDE GREAT BRITAIN AND NORTH KOREA! German U-Boats during the Depression and Prohibition era NOT making clandestine deliveries of liquor to the West Coast of the United States. Unfounded allegations totally without merit. IN THE CASE HOWEVER OF MODERN-DAY DRUG SMUGGLER SUBMARINE ACTIVITY HYSTERIA NOT UNFOUNDED! "US Agents Watch as 'Narco Sub' Carrying $194 Million Worth of Cocaine Sinks After Bust"
"The vessels, which are usually built in Colombia, are designed to travel just below the waterline, with only an exhaust pipe, a small wheelhouse, and and an air stack sticking out above the water. The crews are generally small, with just a captain, a navigator, and a guard to supervise the drugs." "Coast Guard Intercepting Submarine Carrying $181 Million In Drugs"
"The Coast Guard Cutter Stratton crew seizes bales from a self-propelled semi-submersible submarine interdicted in international waters off the coast of Central America, July 19, 2015. The Coast Guard recovered more than 6 tons of drugs from the 40-foot vessel. Video by 94th Airlift"
Forget the Coast Guard of your father or even your grandfather. This is NOW! Once more to the topic of light aircraft carrier versus heavy carrier. A hot-button topic in naval circles? CVN = Aircraft carrier, fixed wing, nuclear powered. "A DOZEN REASONS SMALL AIRCRAFT CARRIERS DON'T MAKE MUCH SENSE II WARTHOG 2017"
* "Less speed and endurance." * "Less storage space and growth margin." * "Cannot accomplish multiple missions simultaneously." * "Cannot substitute for land bases." * "Drain money from higher priority programs." * "Do not save money." 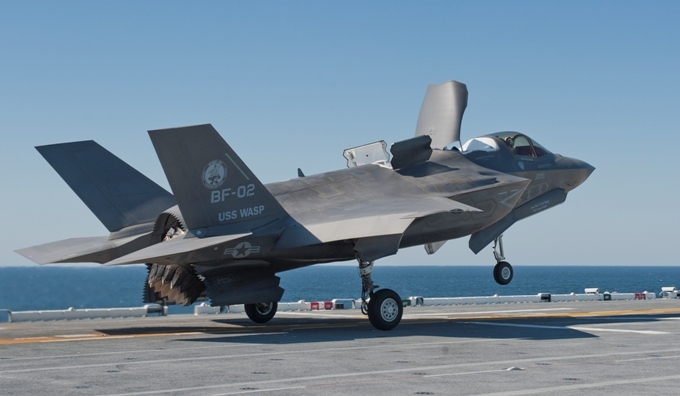 As of 2011 a test model of the F-35 [BF-02] "performing STO’s and VL’s on USS Wasp LHD-1"
USS Wasp (LHD-1) is a U.S. Navy multipurpose amphibious assault ship. Wasp with a full contingent of F-35 functioning in the sea control mode, that number of warplanes max about twenty! North Korea has missiles and fires them. Well, so does South Korea [ROK]. Kim beware!! From the New York post and thanks to the tip from Freeper. "South Korean missile could take out Kim Jong Un in minutes: report"
"The South Koreans have successfully tested a new cruise missile that could wipe out key nuclear sites in the North — which leader Kim Jong Un regularly visits — in just 15 minutes, a report says." THIS IS A KEPD 350 MISSILE. AIR-TO-SURFACE PACKING A BIG PUNCH WITH AMAZING GUIDANCE AND ON-TARGET CAPABILITY. "Taurus KEPD 350 is a German/Swedish air-launched cruise missile, manufactured by Taurus Systems and used by Germany, Spain and South Korea. " "The missile incorporates stealth characteristics and has an official range in excess of 500 kilometres (300 mi). Taurus is powered by a turbofan engine at Mach 0.8–0.9 and can be carried by Tornado, Eurofighter Typhoon, Gripen, F/A-18, and F-15K aircraft." KEPD 350 CARRIES THE MEPHISTO WARHEAD! "The double 500-kilogram (1,100 lb) warhead, called Mephisto (Multi-Effect Penetrator HIghly Sophisticated and Target Optimized), features a pre-charge and initial penetrating charge to clear soil or enter a bunker, then a variable delay fuze to control detonation of the main warhead." 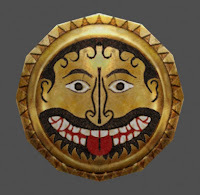 "Mephisto or Mephistopheles is one of the chief demons of German literary tradition." KEPD 350 THE GUIDANCE TO THE TARGET IMPRESSIVE AND HARD TO STOP! "IBN (image-based navigation), INS (inertial navigation system), TRN (terrain-referenced navigation) and MIL-GPS (Global Positioning System)"
Think not so much your missiles Kim, rather start thinking of what the other guy has! NOTHING like this since the end of the Vietnam War? HARVEY first, then IRMA? Ranch Hands to the rescue! Vast areas of Texas in the Houston area to be "hosed" down by American military "sprayer" aircraft. "Mind The Chemtrails: US Air Force Dispatches Sprayer Aircraft In Response To Harvey"
From the article by Tyler Durden as seen at Zero Hedge. And the tip from Jeff! Thanks to all. "The Pentagon has just dispatched C-130H Sprayers from the Air Force Reserve’s 910th Airlift Wing residing in Youngstown, Ohio to Texas in response to Hurricane Harvey." "The aircraft are outfitted with spraying equipment tasked with ‘minimizing the impact of the brutal storm’s aftermath’." 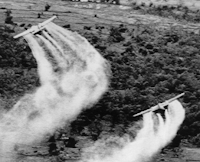 "According to the article, the specially outfitted C-130Hs can spray wide areas with various chemicals for ‘multiple applications, including dispersing oil spills, destroying invasive vegetation, and controlling insect populations’"
Insect populations of the biting variety and carriers of disease as thriving and multiplying in stagnant and pooled water. A human population at danger from malaria, zika, West Nile virus as spread by winged vermin. BACK IN MY DAY IT WAS THE DUTY AND MISSION OF THE USAF RANCH HANDS TO MAN THOSE SPRAYER AIRCRAFT. C-123 IN USE AT THAT TIME.CONTROVERSIAL SPRAYING WITH AGENT ORANGE HAS A LEGACY THAT IS TROUBLING AND PERSISTENT EVEN DECADES LATER! Douhet and Warden would be proud. 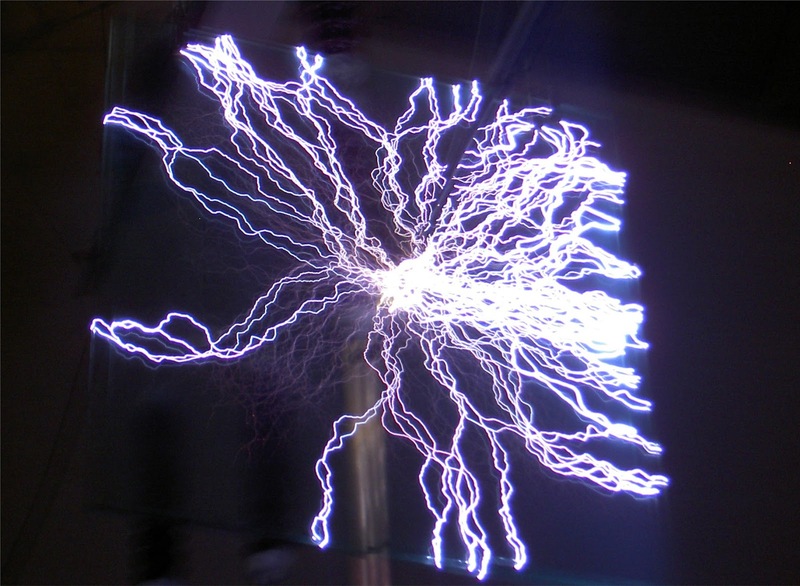 "Report: Hackers can now cause blackouts on US electrical grid"
Thanks to American Thinker and the article by Rick Moran. "It was inevitable that someday, hackers would have the ability to exert control over the U.S. electrical grid. 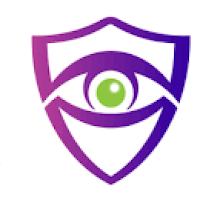 According to the computer security firm Symantec, someday is today." "Hacking attacks over the last several months that targeted U.S. energy companies have been able to gain 'operational control' over systems, thus threatening blackouts across the U.S., says Symantec." DENYING THE USE OF THE ELECTRICAL-POWER PRODUCTION NETWORK IN WHOLE OR IN PART BY CYBER ATTACK RESULTS MORE OR LESS THE SAME AS DESTRUCTION BY BOMBING FROM A WARPLANE! 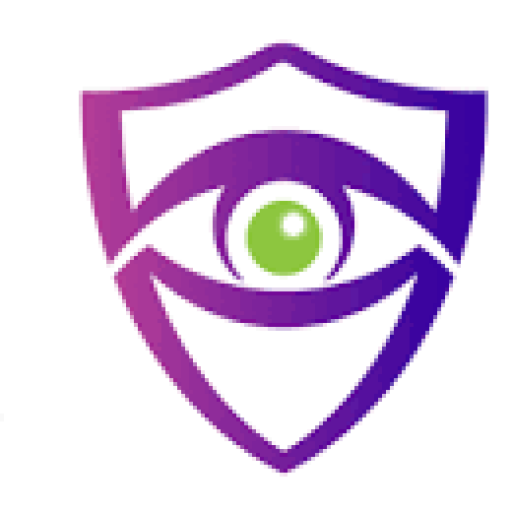 "Symantec on Wednesday revealed a new campaign of attacks by a group it is calling Dragonfly 2.0, which it says targeted dozens of energy companies in the spring and summer of this year. In more than 20 cases, Symantec says the hackers successfully gained access to the target companies' networks . . . their [Symantec] forensic analysis found that the hackers obtained what they call operational access: control of the interfaces power company engineers use to send actual commands to equipment like circuit breakers, giving them the ability to stop the flow of electricity into US homes and businesses." "'There's a difference between being a step away from conducting sabotage and actually being in a position to conduct sabotage ... being able to flip the switch on power generation,' . . . 'We're now talking about on-the-ground technical evidence this could happen in the US, and there's nothing left standing in the way except the motivation of some actor out in the world.'" - - Eric Chien, a Symantec security analyst. As to the essential nature of electricity as vital to the modern world and the well-being of populations high reliant on sources of electricity, no additional elaboration is necessary. As to WHO the culprit is in this particular instance if anyone knows with certainty they are not saying. I HOPE SOMEONE HAS DEVISED A PLAN TO COUNTER SUCH AN ATTACK! Air power in the strategic sense as conceived by military theoreticians possessing of itself a war-winning potentiality! "Vital centers' as defined and as to be attacked by strategic combat aerial assets the destruction of which can be decisive during wartime, those "vital center" to include POWER PRODUCTION facilities. Strategic aerial bombardment and destruction of "vital centers" essential to your adversary the concept of which was originally envisioned by the Italian Giulio Douhet. "Giulio Douhet was one of the world’s most important early air power strategists." "Douhet believed in the morale effects of bombing. Air power [missiles] could break a people's will by destroying a country's 'vital centers' . . . aircraft [missiles] could overfly them and attack these centers of the government, military and industry with impunity, . . . Targeting was central to this strategy and he believed that air commanders would prove themselves by their choice of targets. . . . Douhet identified the five basic target types as: industry, transport infrastructure, communications, government and 'the will of the people'"
"John Warden has been called 'the leading air power theorist in the U.S. Air Force in the second half of the twentieth century'. He has also been called 'one of the most creative airmen of our times. 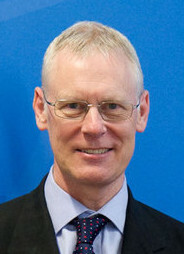 John Warden is not just a creative airman; he is one of America's premier strategic thinkers'". "Anticipate the change in the character of war". Cyber-warfare for instance? More on this later. The Syrian Civil War has been caused by man-made global climate change [warming]?? My instantaneous reaction to this item is that such a thing would even be suggested is PREPOSTEROUS in the EXTREME!! "A new study, published today in the journal Political Geography, shows that there is no sound evidence that global climate change was a factor in causing the Syrian civil war"
"Many aspects of Syria before and after March 2011 are widely accepted as fact despite little evidence. 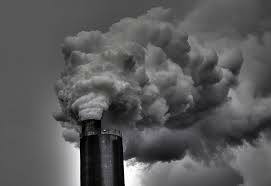 The climate change thesis is one of them, endlessly repeated without being properly interrogated." - - Omar Dahi. "Endlessly repeated"! "No sound evidence"! "Extraordinary"! There you have it. IN the nutshell! People believe what they want to believe! Thanks to the article by Bruce Walker at American Thinker and the tip from Mann we have a possible solution to the Korean crisis?? Of which China is the key? "Make North Korea a Chinese Protectorate"
NOT totally 100 % so a protectorate as textbook defined but close. "The system of protectorates seems archaic and a throwback to 19th-century imperialism, but in fact, protectorates work. The client state (the state over which a protectorate is made) gets the protection of a great power, the great power gains influence and control, and the rest of the world has a more responsible nation superintend the actions of a smaller, potentially rogue nation." NORTH KOREA RETAINS AN AUTONOMOUS STATUS AS AN INDEPENDENT NATION BUT WITH CHINA RESPONSIBLE FOR FOREIGN AFFAIRS AND DEFENSE. SOME MILITARY CAPABILITY STILL RETAINED BY THE NORTH BUT SEVERELY CONSTRAINED. "A protectorate, in its inception adopted by modern international law, is a dependent territory that has been granted local autonomy and some independence while still retaining the suzerainty of a greater sovereign state. In exchange for this, the protectorate usually accepts specified obligations, which may vary greatly, depending on the real nature of their relationship. Therefore, a protectorate remains an autonomous part of a sovereign state. They are different from colonies as they have local rulers and people ruling over the territory and experience rare cases of immigration of settlers from the country it has suzerainty of. However, a state which remains under the protection of another state but still retains independence is known as a protected state and is different from protectorates." A whole lot of pressure and concessions will have to be exerted on Kim to make him bite. THE MAN WILL HAVE TO RELINQUISH POWER IN A SUBSTANTIAL MANNER. THE MILITARY CAPACITY OF THE NORTH DECREASED IN A MAJOR WAY! Honestly, the protectorate proposal is about as good as any other I have heard. Korea historically has been a protectorate of China during the Joseon period. 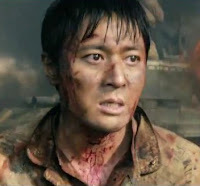 Devoted readers to the blog can suggest a better solution to the Korean crisis?